The number of children in the United States who grow up in conditions of chronic poverty and social disadvantage remains a tragedy of epidemic proportions. Currently, approximately one out of every five children under age 18 lives in poverty (U.S. Bureau of the Census, 2003; DeNavas-Walt, Proctor, & Smith, 2010). Further, the overall numbers grew by approximately 400,000 from 2001 to 2002, to exceed 12 million children and youth who now live below the poverty line. When those who are considered “near poor”—calculated by the U.S. Census as those who have household incomes of less than 1.25 times the poverty income level—the percentage of all children below the age of 18 in the United States who experience serious economic hardship each day of rates edges close to one-quarter (22.3) of all children and youth. Poverty rates among minority children are even higher, with this level of severe economic disadvantage affecting approximately 30% of both Hispanic and African-American children (U.S. Bureau of the Census, 2003; DeNavas-Walt et al., 2010). 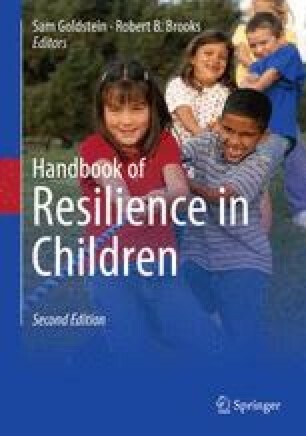 Studies of the effects of poverty and other forms of socioeconomic disadvantage have underscored the potentially devastating impact that these conditions can have on the emotional, physical, and intellectual development of children and youth (cf. Felner et al., 1995; Felner, Silverman, & Felner, 2000; Lipina & Colombo, 2009; Mrazek & Haggarty, 1994). Summarizing these findings, Schorr (1988) concluded “poverty is the greatest risk factor of all. Family poverty is relentlessly correlated with school-aged childbearing, school failure, and violent crime…. Virtually all other risk factors that make rotten outcomes more likely are also found disproportionately among poor children” (p. xxii). Little has changed since Schorr wrote those words to change the prognosis for children in poverty. Indeed, as we will discuss below, because of changes in society many of the conditions that have been associated with poverty, such as school failure, may be more likely to result in other compounding, comorbid difficulties than at any time in our nation’s history.